When you need a spring, give Newfoundland’s oldest and most trusted suspension supplier a ring. Hiscock’s Spring Service manufactures custom products and supplies a wide variety of suspension needs for cars, trucks and transport vehicles. If we can’t fix it, we make it. Hiscock’s, formerly known as Carnell’s Spring Service, manufactures, repairs and installs complete springs, leaf springs and U-bolts. We also supply and install shocks, struts, lift kits, coil springs and much more. Our suspension specialists are committed to providing the highest quality products. Let us create a part to your exact needs in our modern and fully equipped four-bay garage. Our customers always come first. At Hiscock’s we strive to provide each customer with courteous, efficient and professional service of the highest caliber. Our commitment to excellence has earned us a global reputation for quality suspension products. Learn more about us. We are Newfoundland’s leader in automotive, trucking and transport suspension! If you have questions about our products or services, please call and one of our representatives will be happy to help! 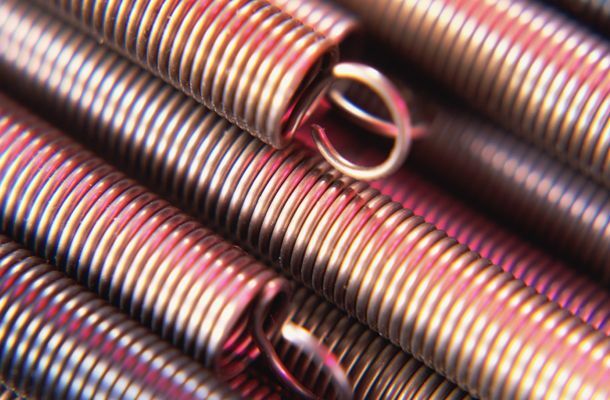 We manufacture springs and U-bolts for all your suspension needs.